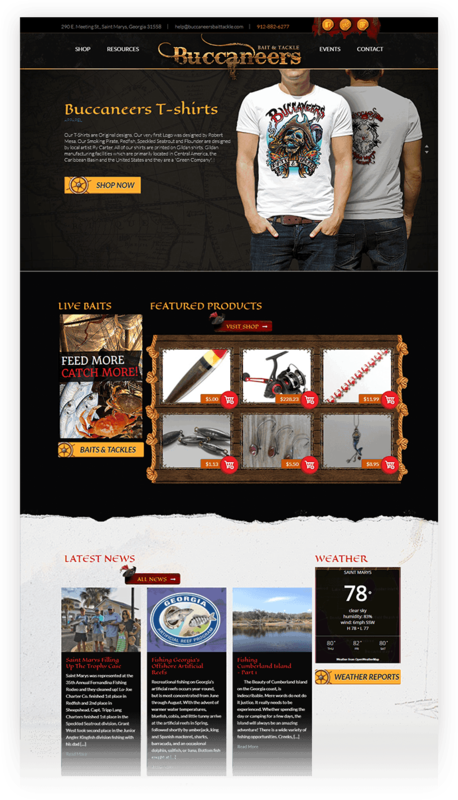 Buccaneers Bait & Tackle is a family owned tackle shop in St. Marys, Georgia that was struggling to create a website using an online web builder and needed help. They wanted an e-commerce website and also the ability to promote tournaments and local events, provide fishing reports, and support their local charter captains. AnoLogix worked with Buccaneers Bait & Tackle to understand what was needed and created a responsive website with e-commerce using WordPress and WooCommerce. We also developed custom plugins that allow for events, tournaments and fishing reports to be easily added. "We were referred to AnoLogix by one of their longtime clients, and we are very pleased! We love our website! It is beautiful! The whole process of setting up the website went very smoothly. The guys at AnoLogix listened to our vision and made it into reality. The customer service is amazing! We plan on a long, prosperous partnership with AnoLogix! "